The loggers strike of 1959 is over. Premier Joey Smallwood has decertified the International Woodworkers of America, branding them as outlaws and traitors. The unsolved murder of Constable William Moss has left an indeliable mark in the history books. The Riot is over, but not for the town of Badger. 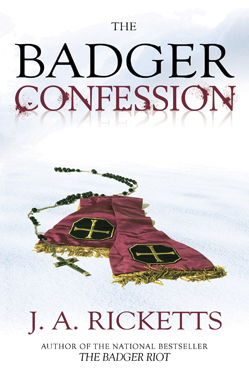 The Badger Confession is the sequel to The Badger Riot. It tells the story of the Riot's fallout over the next thirty years, of secrets that may never be revealed.